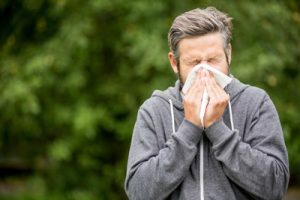 Allergic rhinitis, or hay fever, affects 1 out of 8 people in the U.S.
Spring traditionally marks the arrival of sunny days, blue skies, green grass, and brightly colored foliage. “Spring fever” is an annual ritual that many celebrate by enjoying the great outdoors. However, if you suffer from seasonal allergies, the concept of “spring fever” takes on a different meaning entirely. The onset of hay fever is caused by exposure to allergens, the most common of which are pollen, dust mites, pet dander, and mold spores. For most people, these are harmless substances. But if you hay fever, you’re hypersensitive to them. Upon contact, your immune system goes to war against what it determines to be dangerous foreign substances that need to be contained and removed. Almost immediately, chemicals such as histamines and leukotrienes are released into the bloodstream. A cascade of events ensues, resulting in the sneezing, runny nose, itchy eyes, and other symptoms collectively known as hay fever. If your hay fever seems worse this year, you’re not alone. 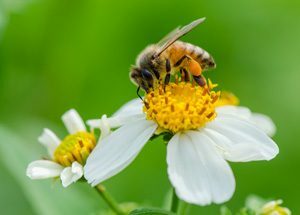 Although this year’s El Niño weather pattern effectively ended California’s drought, it has also produced an abundance of trees, weeds, and grasses—all major sources of pollen. As well, high winds increase spread of pollen, dust mites, mold, and pet dander. Visit https://www.pollen.com for real-time updates on the pollen counts in your city. Stay indoors during peak pollen counts and windy days. Levels of ragweed (known locally as San Diego bursage) levels are highest in the morning. Trees and grass pollens reach their highest levels in the early evening. On high pollen days, close windows and use the air conditioner. Wear glasses or sunglasses to keep pollen out of your eyes. Wear a mask when you work outdoors. Use dust mite-proof covers for pillows and blankets. 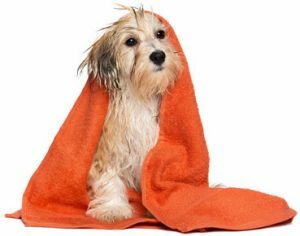 Wash sheets and blankets often in hot water. Use dehumidifiers in your home to inhibit mold growth. If you have pets, wash your hands after you play with them, bathe them often, and keep them out of your bedroom while you sleep. Vacuum often. If possible, replace carpets with non-porous flooring such as tile, linoleum or hardwood. After spending time outdoors, limit the amount of pollen you bring into the house by taking a shower, washing your hair, and changing your clothes. Leave your shoes outside or by the door. Corticosteroid nasal sprays (budesonide, fluticasone, mometasone). Antihistamines (cetirizine, fexofenadine, and loratadine). These are available in the form of pills, sprays, and eye drops. Be sure to read the labels carefully—older versions may cause drowsiness and should only be used at bedtime. Newer versions can be taken at any time of the day. Decongestants (pseudoephedrine, phenylephrine). These may reduce the swelling in your nose that causes stuffiness. They should not be used longer than 3 days. In addition, some people have success using a neti pot—a small container with a spout—to relieve nasal congestion by flushing out mucus. You can purchase a neti-pot from your local pharmacy or health food store. If you’re still miserable, despite avoiding triggers and trying over-the-counter medications, it may be time to visit to your primary care physician. He or she can help you manage your hay fever with stronger or different prescription medications. In addition, your PCP may refer you to an allergy specialist for allergen immunotherapy. Allergen immunotherapy involves injections, pills, or drops to gradually desensitize your immune system to your unique allergy triggers. Subcutaneous immunotherapy6 (“allergy shots”) involves injecting small amounts of allergens into the bloodstream. The dosage is gradually increased while the body becomes less like to react. Keep in mind that the shots must be administered at the doctor’s office. Also, they can take 4-6 months to start working, and treatment can last for years. Sublingual immunotherapy7 involves a daily pill or drop placed under the tongue. An advantage of sublingual immunotherapy is that it can be done at home. Presently sublingual therapy is only available to treat grass, ragweed, and dust mite allergies. American Academy of Allergy Asthma and Immunology: Allergy Facts. Available at https://acaai.org/news/facts-statistics/allergies. Retrieved 4/8/19. American Allergy Foundation of America: Allergy Facts and Figures. Available at https://www.aafa.org/allergy-facts/. Retrieved 4/8/19. Cold vs. Allergies – Difference and Comparison. Available at https://www.diffen.com/difference/Allergy_vs_Common_Cold. Retrieved 4/2/19. Mayo Clinic. “Allergy Medications: Know Your Options”. Available at https://www.mayoclinic.org/diseases-conditions/allergies/in-depth/allergy-medications/art-20047403. Retrieved 4/8/19. “Natural Allergy Remedies.” Available at https://www.webmd.com/diet/features/allergies-allergy#3. Retrieved 4/8/19. American College of Allergy Asthma and Immunology. Allergy Shots. Available at https://acaai.org/allergies/allergy-treatment/allergy-immunotherapy/allergy-shots. Retrieved 4/8/19. American College of Allergy Asthma and Immunology. Sublingual Immunotherapy (SLIT). Available at https://acaai.org/allergies/allergy-treatment/allergy-immunotherapy/sublingual-immunotherapy-slit. Retrieved 4/8/19.